If you thought the Souls games were hard, but are looking forward to Sekiro: Shadows Die Twice anyway, you may be in for a bit of a shock. That’s because the upcoming samurai Souls-like might be even more difficult than any of the Soulsborne games. That comes directly from game director Hidetaka Miyazaki, who says that “the idea is to make a game that is more difficult than previous entries.” If that sounds daunting, Miyazaki does at least have a reason for upping the difficulty in the upcoming title. Sekiro has a boss who vomits on his sword before he attacks you, which sounds pretty metal, but what’s the worst boss fight in all of PC gaming? In an interview with Famitsu (translated via Esuteru), Miyazaki says that the increased difficulty “will allow you to use creativity in addition to action to overcome [Sekiro’s] challenges.” Elsewhere in that interview, Miyazaki suggests that Sekiro is about “killing cleverly,” suggesting that working out the best way to tackle a boss is just as useful an option as trying to brute-force your way past it. There’s a strange blend of striking similarities and massive differences between Sekiro and the Soulsborne game. A major difference, for example, is that there are no classes in Sekiro (and no stats or souls either). On the other hand, however, Miyazaki says Sekiro’s map design is similar to that seen in the original Dark Souls. 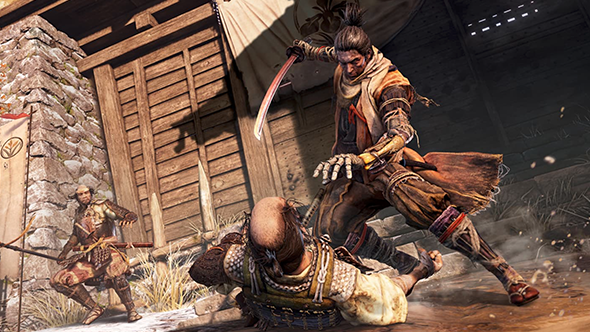 The Sekiro: Shadows Die Twice release date hasn’t been confirmed yet, but it’s currently scheduled for a release on Steam in early 2019. The game’s release will be synchronised globally, so you won’t have to wait longer than anyone else to get your hands on it.